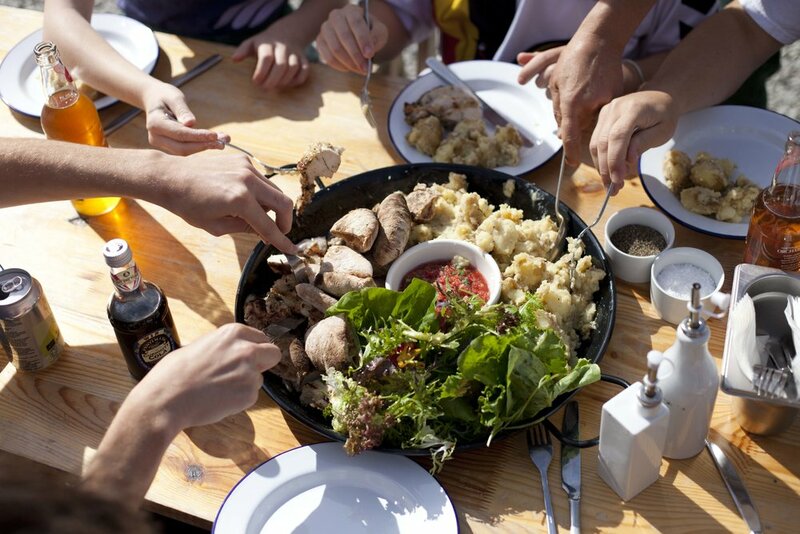 All food at fforest is prepared and cooked on site by our cooks, using produce sourced as locally and ethically as possible. Our now established market garden at the farm provides much of our fruit and vegetable requirements. 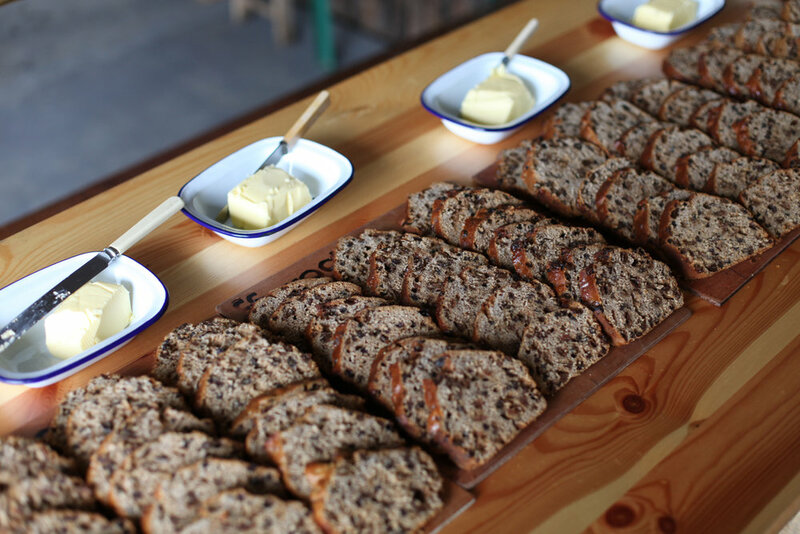 We provide wholesome breakfasts of homemade granola, local honey, eggs and bread, fruit, yogurt, fresh tea and coffee. We have a variety of indoor and outdoor spaces suitable for dining, from lavish dinners to informal working lunches. 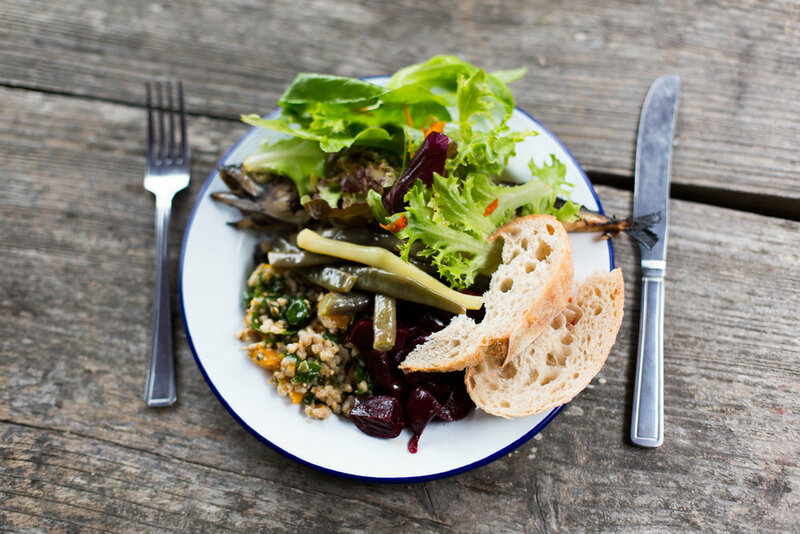 Our meals make use of the very best seasonal produce the local area has to offer—fresh meat, smoked fish, great cheeses and an abundance of vegetables and salad grown on site. We have a wood-fired pizza oven for freshly cooked pizzas made with seasonal toppings and dough from our Pizza Tipi. 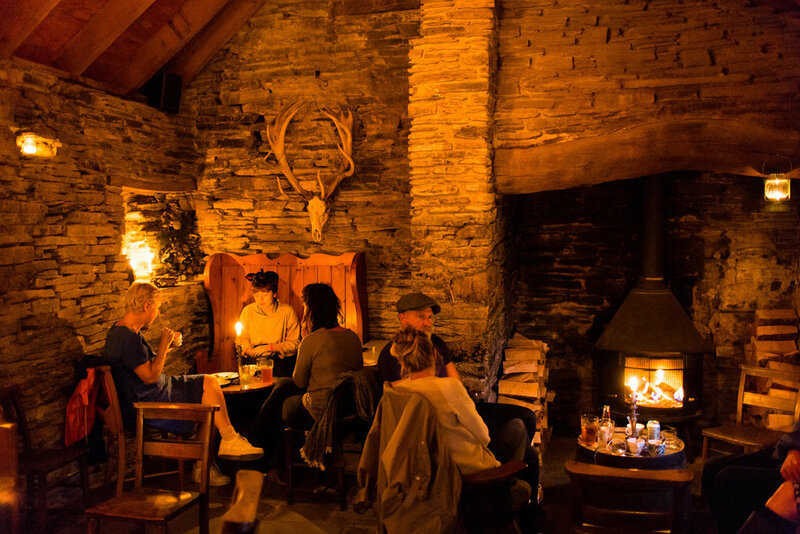 The oldest building on the farm has been lovingly restored to house our private pub, with tealight chandeliers and an inglenook fireplace. We serve Welsh spirits and local craft beers and ciders, as well as a selection of wines and soft drinks.